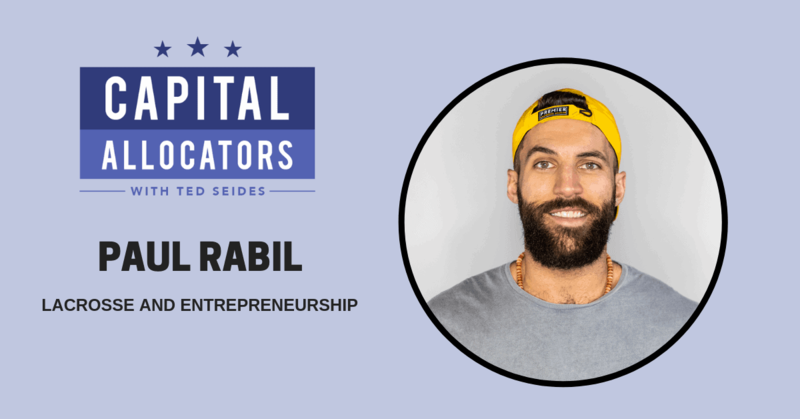 Paul Rabil is the co-founder and CEO of the Premier Lacrosse League or PLL, a new tour-based league of the top professional lacrosse players in the world that will debut on June 1st. Paul was the #1 player in the draft for Major League Lacrosse in 2008 after winning a national championship at Johns Hopkins. He is a 7-time Champion and 3-time MVP. Alongside his on-the-field accomplishments, Paul is a passionate entrepreneur who was the first lacrosse player to earn $1 million in endorsements. Our conversation covers Paul’s early interest in lacrosse, developing a social media fan following, the importance of sponsorship revenue for athletes, and the leverage athletes have over teams. We then turn to the formation of the PLL, including Paul’s attempt to purchase the MLL with a search fund, his shift in business model from private equity to venture capital, the tour-based model, operations, distribution, and the on-field product. We close by discussing Suiting Up, Paul’s podcast where he interviews top professional athletes and coaches, and the Paul Rabil Foundation, which brings lacrosse to schools for children with learning differences. Paul is as savvy off-the-field as his is skilled on it, and as the PLL takes off as I suspect it will, this conversation may well mark an important moment in time for this fascinating start-up league.